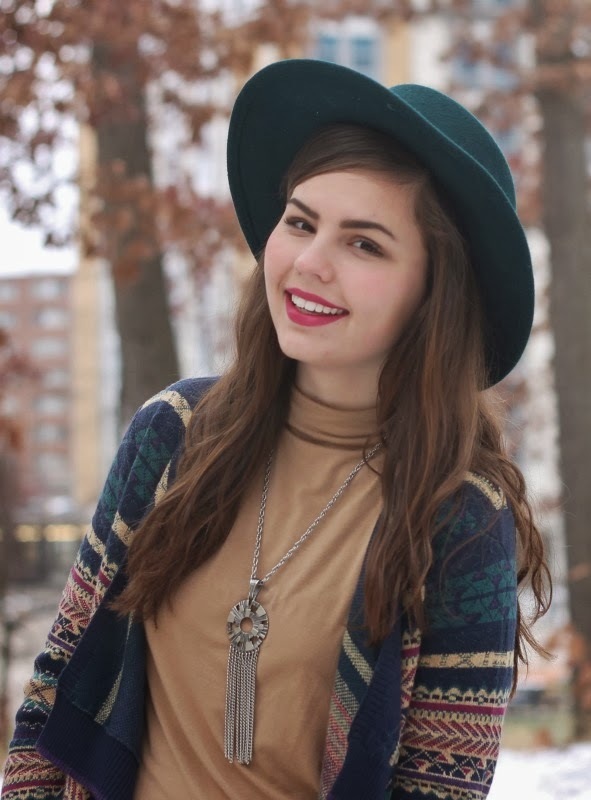 Tan Mockneck, Green Hat: Thrifted. 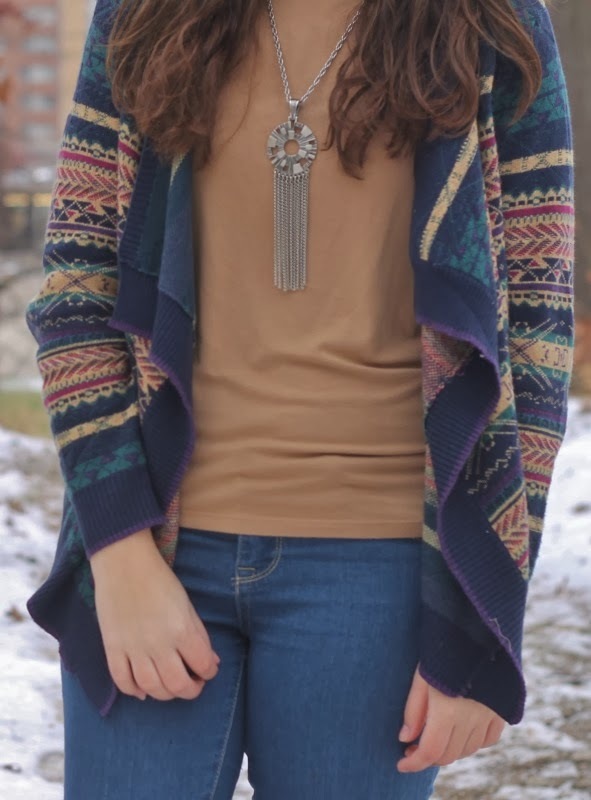 Water Fall Cardigan: c/o Choies. I jokingly said on my twitter the other day that my 2014 resolution will be to use up a chapstick completely before I lose it. While this is certainty a good goal, of course I'd like to have a resolution for the new year with a little more substance which has got me thinking lately. P.S. Pants! I'm wearing pants! I'm gonna get past three looks with pants this month you guys--it's on. 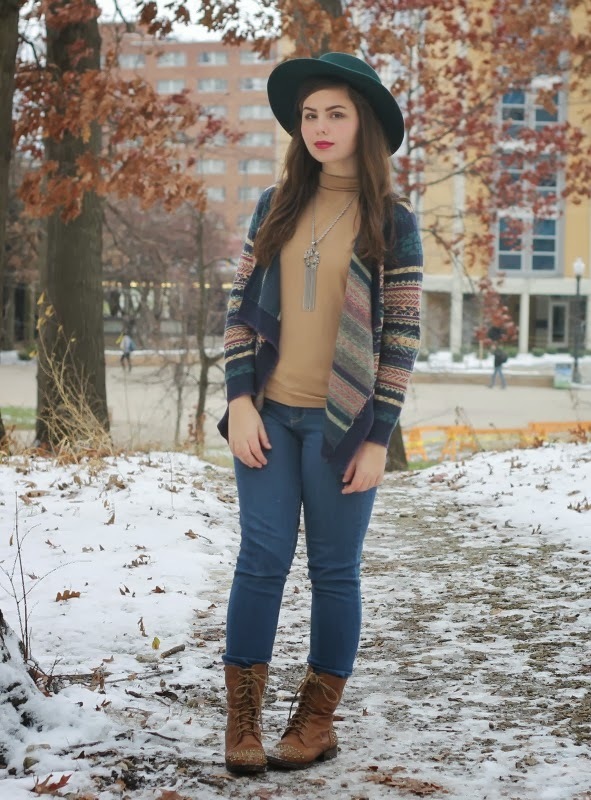 That cardigan looks great on you! And, that hat is brilliant on you! OK guys can we take a moment here and just ADMIRE THE BEAUTY OF THIS GIRL!!!!!!!!! I'm so happy to hear you managed to complete your previous resolutions! I can never do that :( haha. Your outfit is so lovely! I adore the hat!! 70s style envy. Way cute look. And it looks comfy too! I love this look on you. The colors are great! I have the same issues with pants! i know they are hidden somewhere in my closet every time i go in there! Dresses/Skirts just seem to catch my eye first! ;-) Love the hat! Lauren, you look beautiful. Love this look on you, and I don't think there is anyone else who looks better in hats than you do! I didn't realize you also had OCD (my ex has it, so I can empathize with what you went through to overcome it). Excited to hear what your resolution will be for this year! 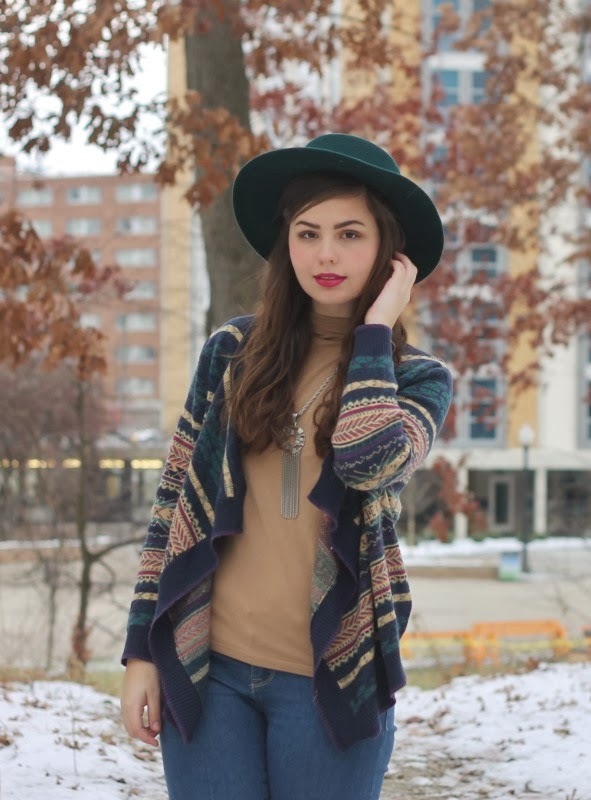 I love the cardigan and the hat! That is such a rich colour on the hat especially. Looks like the kind you can put with any outfit to make it awesome. I hope you continue to grow stronger in the coming years and hope perhaps that you dont need such challenging new years resolutions in the future. I really love that cardigan, and it looks perfect with that top! This is also a particularly lovely set of photos! 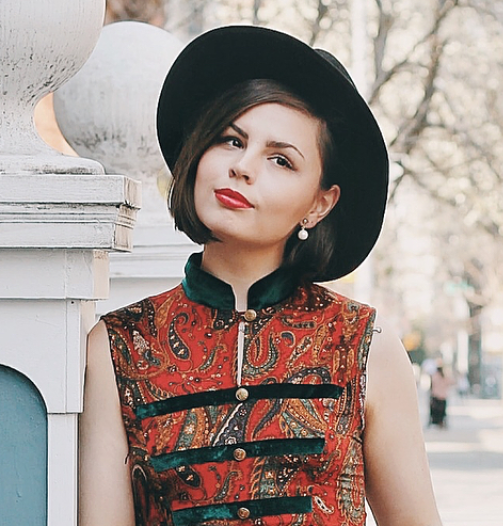 Such a lovely little ensemble! The whole thing is just dreamy. Any wardrobe could use the beautiful edition of that awesome green hat! 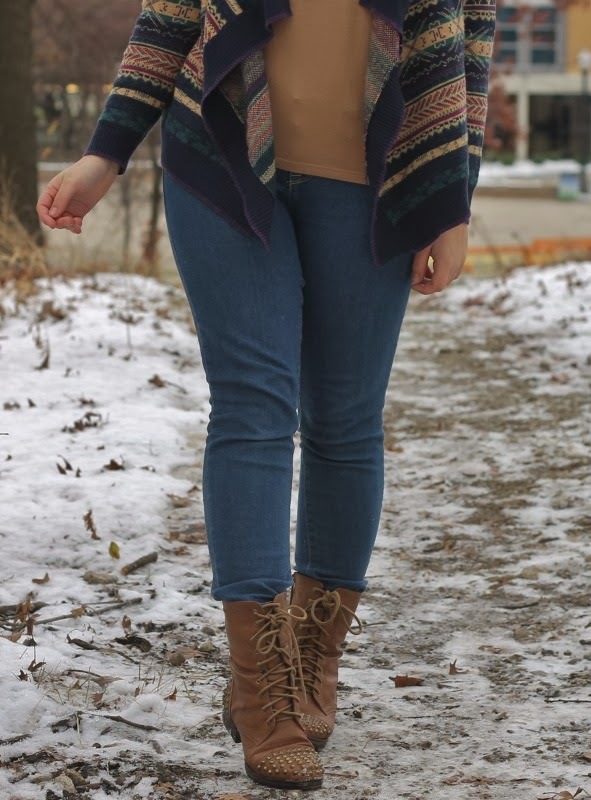 I'm in love with those boots and that cardigan/sweater. I've never really thought I could be one to pull off combat boots, but these might be cute enough for me to at least try. Thanks for the inspiration! You look so gorgeous - those pants are so perfect on you. And necklace is such a great find! You look so awesome in these jeans! 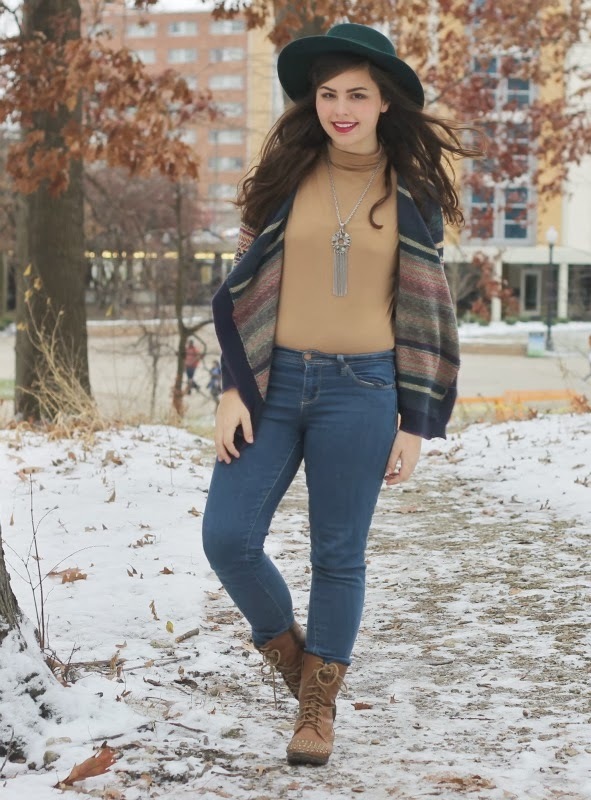 That turtleneck top looks perfect with your cozy-looking open cardigan too. I love how casual but incredibly cool this outfit is on you.